Go to university? Or work on blockbuster movies as an animator at Lucasfilm Singapore? Faced with this decision, Mr Peter Tan, a Nanyang Polytechnic digital media design graduate, took the road less travelled seven years ago - and turned down a place at the Academy of Art University in San Francisco. "I got an offer from Lucasfilm giving me a six-month contract to replace another animator going on maternity leave," said the 35-year-old, who eventually converted to a full-time position. "People go for degrees to work in reputable companies, but I thought to myself, 'I already have the job and nothing beats work experience.' My passion has always been animation so I didn't need to think so hard." His job is to create the movement of characters and objects using computer graphics, such as in fight scenes, or when actors cannot carry out certain sequences, such as falling from a building. 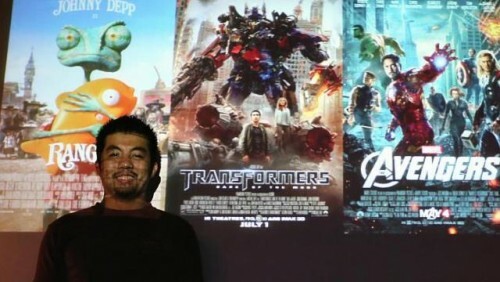 He has worked on a string of titles, including several movies in the Transformers series, The Avengers and Pacific Rim. He has also contributed to the television series Star Wars: The Clone Wars, and the animated film Rango. Mr Tan, who has more than doubled his salary since he first started, now leads a team of 20 animators in his role as lead animator at Industrial Light & Magic, a division of Lucasfilm Singapore. "In this industry, many animators are diploma holders," he said. "It's not about the paper qualification. It's about how well you do your job and gaining experience with each show. "You get promoted because you have the right qualities and abilities, not because you've gone through a course and have a certificate."